47-55.1 Accessing the interior of the door skin for side mirror mounting? Accessing the interior of the door skin for side mirror mounting? 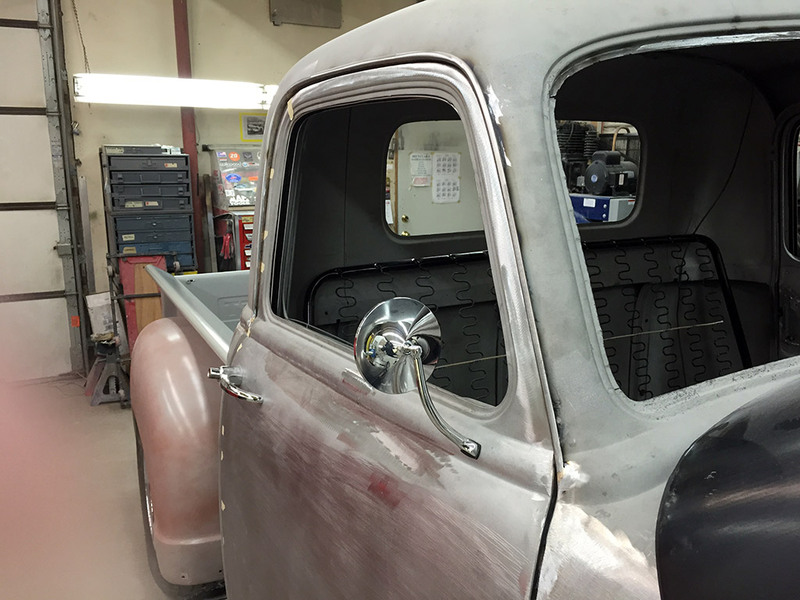 I picked up a set of exterior mirrors for my '53 3100, very similar to these ones that @torchlight has on his truck (pictured below). I want to mount mine in a similar location. How is it possible to access the inside of the door skin in this location to tighten the two nuts? 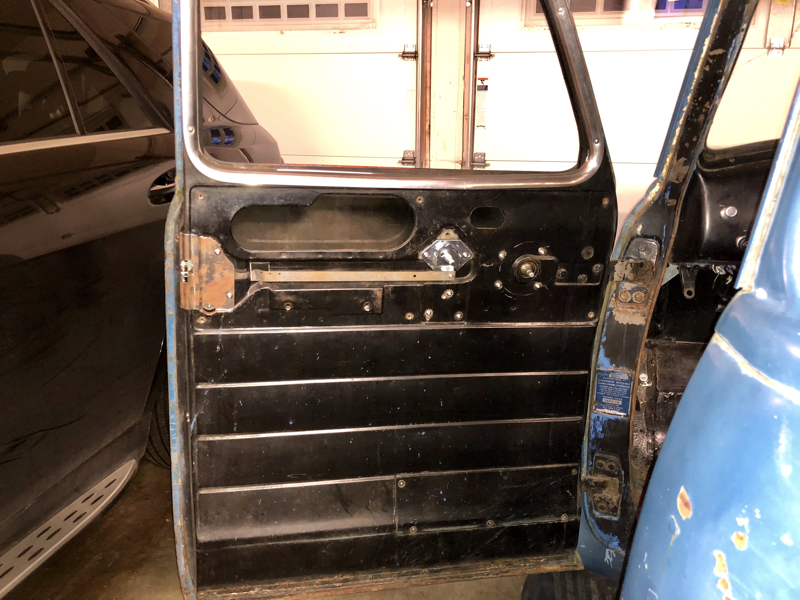 My door is assembled already, but I still don't think I could fit my arm in there if I removed the glass and window regulator. 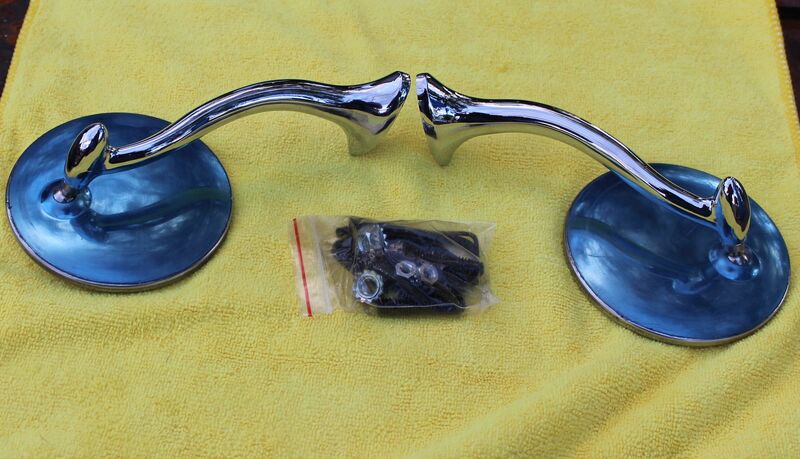 Is there a trick to getting this type of mirror installed that I don't know about? Here's my 1953 Chevy 3100 Build Thread and here's my website Classic Nation. Re: Accessing the interior of the door skin for side mirror mounting? That might end up being a two person job. I've got real similar mirriors for mine that I have to put nuts on in that area and my hands aren't going to fit. The swan necks I got for mine have a stud with a nut that has to go on the inside. 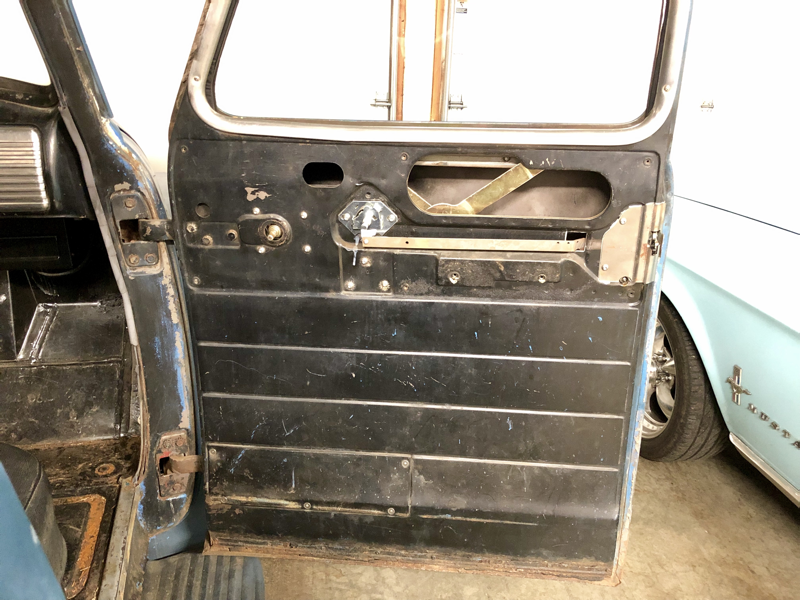 Looking at the 51 Drivers door that I have out back there is an access hole above the window crank so a hole saw used in about the same spot on the passenger side should match that. Founding member of the too many projects, too little time and money club. 48 Chev 3100 that will run a 292 Six. 71 GMC 2500 that is getting a Cad 500 transplant. 77 C 30 dualie, 454, 4 speed with a 10 foot flatbed and hoist. It does the heavy work and hauls the projects around. Those access holes on your door look like they are closer to the edge of the door where they would provide a good access. Mine are set closer to the middle. Is that an indicator that my doors are '52-53? My truck is a '53, but because my doors have no cozy window and the old style exterior turn down handles instead of the press-button handles, I have always assumed that my doors were '47 - '51 doors. Any insight here is greatly appreciated. Thanks! Last edited by ebernst; 04-12-2019 at 11:31 PM. You could always cut an access hole and then fabricate a nice screw-on cover for it - similar to the factory access cover at the bottom of the door. @MiraclePieCo Yeah, I was thinking that might be a good approach.